Today is the day that the greeting card companies and florists have capitalized on sentimental tokens of affection for mothers. Julia Ward Howe a Unitarian, and a pacifist and suffragette, tried to get a Mother's Day for Peace established in 1870 but her attempts died and nothing much happened until Anna Jarvis tried to get Mother's Day recognized as a holiday and was finally successful in getting congress to proclaim the second Sunday of May as Mother's Day which was signed into law by President Woodrow Wilson in 1914. By 1920 the commercialization of Mothers day began. 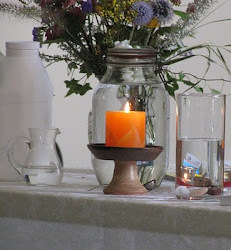 Mother's Day of peace however has dropped by the wayside and women have cooperated to continue to offer up their children for the militaristic activities of their governments even Unitarian Universalist mothers. In our current presidential election cycle once again the reproductive rights of women have been challenged at the highest levels of the American government, and women and children have been objectified in the culture wars with cynical issues of birth control, abortion, and sexual orientation. As a psychotherapist, I am aware on a daily basis of bad mothering. Bad mothering is very common with the clients I see caused by substance abuse, mental illness, and a history of trauma to which they were subjected themselves. Poor parenting whether perpetrated by mothers or fathers is the basis of much of the dysfunctional behavior that negatively affect our communities. Sentimental acknowledgements aside our society is very stingy and unsupportive of mothering whether we look at maternity leave policies, welfare policies requiring mothers of small children to work at minimal wage jobs while they must place their children in day care, and subjecting children to compulsory schooling which often is toxic for healthy social, emotional, psychological, cognitive, and physical development. The pain and suffering cause by dysfunctional mothering in our society is enormous and the costs to our society in the form of child protective services, juvenile delinquency, poor school performance, criminal justice costs, and substance abuse and mental health services are enormous. As a society we tend to be oblivious to the negative consequences of poor parenting. We require people to get licenses to fish and cut hair, but have no such requirement for parenting one of the most important jobs in any society. I would like to live in a country like the social democracies of Europe where maternity leave is generous, child care subsidies are generous, quality education is provided through college, universal health care is available, and economic justice including economic opportunities to earn a living wage are available, and food insecurity and homelessness are no longer problems. Getting all misty eyed at a pollyannish celebration is hypocritical unless we as a society are willing to step up and support mothers in the most important role which our society offers for women to play. We spend a trillion dollars for wars in Iraq and Afghanistan and billions of dollars for "too big to fail" bank bailouts, but very little support for the mothering of the future citizens of our country. A Unitarian social activist wanted to state a Mother's Day For Peace in 1870 for which she found no support. After the wars of the 20th and 21st century I don't think she would find the support today even among her fellow Uniatrian Universalists which is a shame given the values which we covenant to affirm and promote as a way of life in our congregations. May the Spirit of Life bless the mothers struggling to raise the next generation, and may we as a society advocate for the appropriation or resources so that they can do a good job. 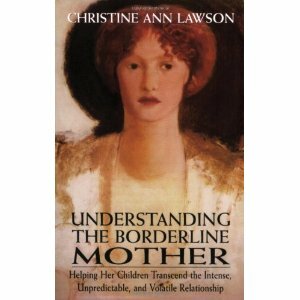 If you are interested in a more personal and clinical view of bad mothering I highly recommend Dr. Christine Ann Lawson's book, Understanding the Borderline Mother: Helping Her Children Transcend the Intense, Unpredictable, and Volatile Relationship. You can find the book in the carousel in the right hand column. 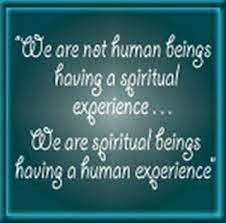 For all you folks who had/have borderline mothers, and to fathers who conceived children with them, I wish you peace everyday, and especially today as your suffering is bound to intensify as a result of memories of your abusive experiences being triggered by this holiday..
Increasingly Caucasian middle class women are choosing to stay singe and not have children. Middle class Caucasians have a birth rate so low they are not even replacing themselves. Could it be that mothering is so undervalued in our society that women with education and financial resources gained independently are not choosing to mother children in our very unsupportive society? I appreciate your honesty a great deal. While the commercialization of Mother's Day has turned it into a Walt Disney production, mothers have done a lot of damage to a lot of people and it is the elephant in living room. As you point out, mothering has become so degraded in our feminist society that educated middle and upper class women think they are too good to be raising children and it essentially is a waste of their time and talent and so they eschew its importance and degrade the dignity of the role except once a year when every good American is expected to ironically pay it lip service. Thanks for pointing out the elephant.